When choosing a desktop virtualization option, it can be difficult to weigh the pros and cons of different delivery methods – should you host them on-prem through VDI, or through a third-party via the cloud? 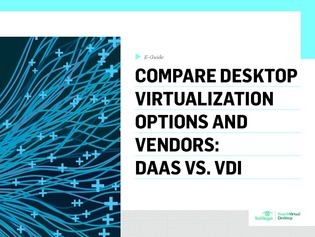 Download this e-guide to compare desktop virtualization options and use cases for VDI vs. DaaS. Also, compare the custom services that different DaaS vendors offer to determine which, if any, is right for your organization.